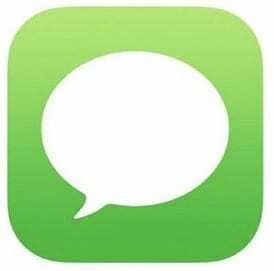 Several of our readers using report that they are experiencing iMessage problems in iOS 9 and previous iOS versions. If you’re using iOS 10 or later and experiencing Message problems, please see this article. But if you’re sticking with iOS 9 (or below), these errors particular to earlier iOS versions often cause serious problems for our readers’ Messages and iMessage app. It seems that some users are experiencing a few annoying problems with Messages not working correctly. If your iDevices are running iOS 9 and are having issues with Messages, here is how you can troubleshoot those problems. 0.1 Using a Different iOS version? Using a Different iOS version? Restart the Messages app by double tapping the Home button then swipe to the app to force quit. This action force quits the Messages app. Don’t worry you will not lose any data or messages. Then relaunch the Messages app. Go to your iPhone’s message Settings and make sure your iCloud email is selected in the “send and receive” section. This often fixes things immediately. Restart your iOS device by pressing and holding the off/on button until you see the slider. Then slide the slider to turn off your device. You may try to change your DNS settings and try again if this solves your iMessage problem. To do this, tap Settings > Wi-Fi. Locate your wireless connection then tap the (i) button. Now touch the DNS field and enter 8.8.8.8 (this is Google’s public DNS). 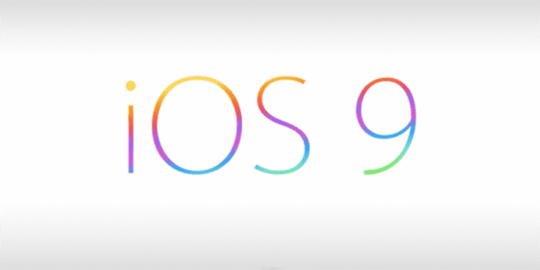 With iOS 9 or below, you may experience problems when sending or receiving messages. Your messages may show as posted but failed to get delivered. Your messages may also appear as blue on the iMessage and show as not delivered, but you get a response from the person you sent the message to. This problem can occur in both single and group text messages but seems to affect group texts most often. If you have this problem, try hard restarting your phone, toggling the iMessage application on and off, and restoring the device to factory settings. If these steps do not solve the problem, try turning off WiFi Assist. These problems may occur due to a glitch in the system. If you recently updated your iPhone or iPad, you may be experiencing delayed messages. When you use iMessage, you may find you are not receiving messages until several hours after they have been sent. Conversely, your recipients may not get your sent messages until hours later. You may get a ‘text delivered’ notice, but the receiver does not receive the message immediately. This problem usually occurs if your phone number is not checked on the FaceTime app. You can solve these ‘delayed message’ problems by changing your phone’s settings. Go to Settings and access the FaceTime app. Turn the FaceTime app off, then back on, and tap ‘use Apple ID for FaceTime.’ Your phone number will show a solid check, and your iMessage should start working properly. 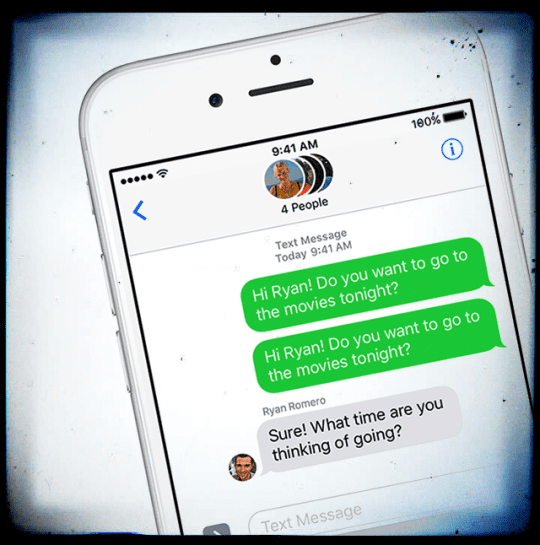 When sending an iMessage to your friends, it may be delivered two or three times without your knowledge. If you have this problem, try turning your mobile device on and off, hard restarting it, and resetting it to the factory setting. If this still does not solve the problem, try resetting your phone’s networking features under Settings. You may also try to turn off and then on your iMessage app to address the problem. If you continue to experience the same problem, you can contact Apple to see whether they have found a solution. Sometimes you may hear the iMessage sound twice in a row after updating to iOS. This sound can be annoying if the problem is not solved. To solve, go to Settings -> Messages, and turn off iMessage. Reboot your phone, wait for one hour, and then turn iMessage back on. If the annoying repeating sound comes back again, try activating and deactivating the Repeat Alert setting. If the problem is not solved, try turning the iMessage app off and on. If you keep receiving this kind of text message, report the problem to your carrier. The problem may have nothing to do with Apple. However, users who have been saying this issue to their carriers often get referred to Apple. Troubleshooting tips for this issue include backing up your phone, restoring it to its original factory setting, and then sync with iTunes to regain your apps, music, pictures, and other files. Remember when restoring your device to restore it as a “New Device.” Don’t try restoring from “back up” or you will end up with the same problem. Also, ensure you sync your phone with iTunes before wiping your files. Go to Settings > Messages and turn off iMessage. While at it, please disable Facetime as well. Sign out apple ID, Go to the Settings > iTunes & App Store > Tap Apple ID > Sign Out. Go back to Messages and turn-on iMessage. You’ll be prompted for your Apple ID. Please enter your credentials. Go to Settings and turn OFF Airplane mode. Give it a few minutes, and your iMessage should get activated. Another issue you may encounter is difficulty in removing “Service Denied” text messages. One of the solutions is calling your mobile operator, who will give you the SMS center number and dial code to help you identify the source of the text message. You will need to make sure you are using the SMS center number and dial code provided by your mobile operator. If you are using a wrong SMS center number, call your service provider and request them to reset your network. After they have reset your device’s network, restart your phone. You should not see any more “Unknown” messages. I don’t usually experience these issues while using both Messages and iMessage features. However, some users might configure something differently, and that may lead to these problems. Let me know if you still need help. I am i phone 6pluse users they send this message again and again is it any problem for my phone??? (REG-RESP?v=3;r=821965243;n=**********;s=025AADBE43FFFFF)and so on. Sorry you’re having issues with your iPhone 6+. These messages you’re receiving, are they from one source or multiple sources (senders?) If you’re using iMessage, try reauthorizing it by going to Settings > Messages and toggling iMessage OFF. Then wait 30 seconds and toggle it back on. This forces iMessage to reauthorize your account. I’m in the same boat as Sabrina. When I receive any text message, it doesn’t alert me or make any type of sound. Just like Sabrina, do not disturb isn’t ON and I’m not getting my important texts. Help! Please see Sabrina’s reply. Hope one of these tips help you out. Please check that you don’t have your side switch set to Mute. Check in Settings > General > Use Side Switch For and see if it’s set to Mute. If so, either change your side switch setting to Lock Rotation or just flip it the opposite way. If there is still no alert sound, try a forced restart. Hold both the power and the home (or Volume down) button at the same time until the Apple logo appears, then release. If this is happening with just a few people and not everyone, look in your list of Messages. And check if any have the MOON icon (DND) next to that Contact. If so, tap on the Message, click on Details, and see if you have Do Not Disturb on for THAT specific Contact. Update the contact so DND is off then restart your device by powering completely off and starting up again. If it’s none of these things, check if you’re connecting to a Bluetooth device or speaker. Go to Settings > Bluetooth and either toggle it off or look at the list and see if anything is connected. If so, disconnect from that device. 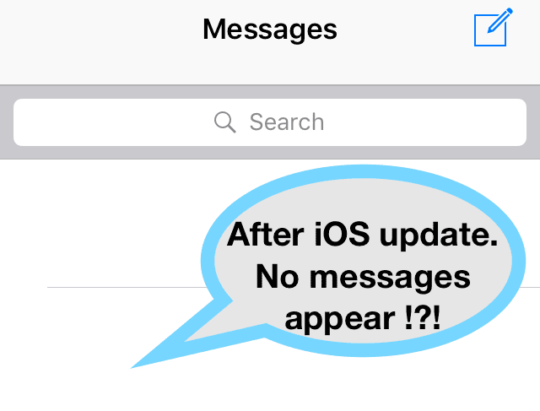 If using iOS 10 or higher, please look at the article for iOS 10 Message Problems. I tried all these steps and nothing helped. I just updated the phone like 1day ago and nothing is working. someone please help..
It’s possible that you have more than one email or number associated with iMessage–and therefore causing the duplication. Go to Settings > Messages > Send & receive and ensure that only your phone number is listed in the “You can be reached by iMessage at” area. 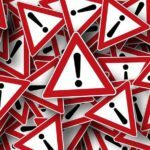 If you have an email address or anything else listed, it just might be the cause of your duplicate text messages. i am using IPHONE 7 plus, not able to receive messages and facetime/imessages are not getting activated. tryed many ways like updated carrier message center number etc but not result. nayone can help? Having 1 day delay on messages coming from android phones to my iPhone. What can I do? I rebooted, removed app from background, but still have a few problems. I have upgraded with ios9 .. And I realised that all my messages are deleting automatically, I’m not receiving message notification and when I receive any messages from other it stays for sometimes and then get deleted automatically .. iam not able to check on my imp messages .. I have been calling to Apple customer care from last one month and these guys are telling me same thing every time that we are working on the issue but not telling me the specific date .. And what is the other alternate /option if this problem will not be able to resolved by the apple team .. We pay big amount of money to Apple so that we can enjoy the service not to face this type of issues.. These guys are not even ready to pay me my money back..I must say I’m fed up of this apple phone .. I have not paid Apple for charity .. If you cannot resolve this issue then pay all the users their money back who ever facing these types of issue.. Show some courtesy and value ur customers .. In the past few days, I sent iMessages to three different people that seemed to have gone through but never said delivered. I didn’t get responses from them so I’m assuming the other person didn’t receive them. Yet, this problem occurs with some people and not others. Aside from those three, I got a ‘delivered’ notification from everyone else I sent an iMessage to. Do you know why this could be? My daughter’s phone updated and now when I text people their replies are going to her phone. This is extremely inconvenient when trying to run a business! Please make sure to check your Message settings. Tap on Settings > Scroll down and tap on Messages. In the pane scroll down and tap on Send & Receive. Here you will find all the numbers and email addresses that people can reach. Check and see if your daughter’s mobile number associated here with your email addresses etc. Make sure to only have your updated contact info here. Good luck. When I get a group text, it comes from one person and when the responses come from others they all come individually, not in a group thread, and when I reply, it only goes to the one person whose text I am answering, not to the group. I have 9.2.3 on my iphone5. Another problem after another update. My iPhone 4s, while in messaging, after ending a voice to text message with a question mark and clicking done, the notification “ding” (that let’s you know the microphone has been cut off) does not stop. The annoying ding continues to ding and cannot be cut stopped until you power off the phone! This happened after the latest update. We are always having problems of some type after updates ??? What’s the solution to fix this one? I sent a message and my recipient received it mostly word for word until the end of my message which changed a bit, talking about a bathroom, and er (?) it also said have a great week and added a winky face at the end. On my end, it read as typed, but she sent me a screenshot of what she received and it was in fact different at the end. I would love to hear if anyone else’s message mysteriously changed only on the recipients end. I am unable to send a text message to any android phone from my iPad mini, no option available for sms message. My software is ios9.3.1. Can anyone help with this as I’m not receiving messages from android phones either. Thanks in advance. 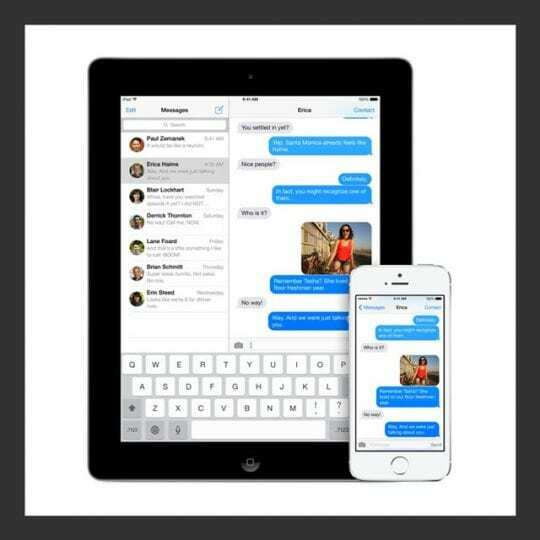 I sometimes am unable to exit messages on my iPad without turning off the tablet. Plus if I push the button too many times my text becomes inverted and I have to go into setup (after I turn it off to get out of messages). Does anyone else have this problem? My text messages sent from my IPhone 6 are received jumbled, making no sense to the recipient. Anyone else out there with this issue? THANKS! Imessage was off for some reason. It fixed it! I had my phone off for two months and since turning it on I have not received the messages I was sent. Any ideas? I have several people who mentioned writing but I never received anything. I’ve been receiving duplicate text messages for a week now from random contacts. I’ve tried everything expect the DNS thing. Anyone experiencing this too? I have an iPhone 6S running on iOS 9.2.1 I never experienced anything like this. Not sure if it’s from the software update. Hi I have an iPod (5th Gen.) and it is at iOS 9.2. I am experiencing problems with Imessages and other apps, but mainly iMessages. I am no longer recievung notifications when my friends text me and I will not know until I exit the app I am in and see the red dot by the app. Sometimes I will be watching Youtubebfor hours and a friend will text me and I won’t know until a while later. I am also not recievung things for Instagram but that doesn’t really matter. I have push notifications on and I have not messed with the settings. It was fine until about a week ago. Idk what happened, but I am not happy and I only got this 4 weeks ago. If you have any idea what’s happening and how I can fix it, that will be greatly appreciated. If u do, either reply or send me an email, [email protected]. Thank you and have a nice day. Step 5 worked for me thanks!! I just got an iPhone 6s and ther is no option to enable group messaging under settings, can anyone help? I’m having the same problem, were you able to fix it? And if so can you help me fix it please…it’s super annoying! My new messages aren’t going to the top. I have to scroll and try to find all new messages. Done all the steps above except the DSN. I send a text message to an individual and it goes to several other people randomly – no common items in the data bases nor are they in the same groups. 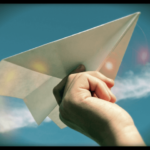 Thanks alot Aeroplane mode one worked! Steps 1-4 have appeared to work… Thanks! Can you tell me what steps you took to fix the messaging problems with group texts? Not sure if it’s a coincidence that I replaced my phone with a 4S or updated to IOS 9.2, but I can no longer “leave the conversation” or “add a contact” to a group message. Please HELP!! I went to Outlook app, so far so good. Got tired of delayed message retrieval. IPhone mail on ios 9 blows. I’m 80 yr/o and bought a iPhone for security reasons. I don’t do a lot of the things with my iPhone that other folks do, but I did enjoy having the notes app and used it for a grocery list, however when it upgraded to IOS 9 it completely wiped out my grocery list in Notes. Any idea how I can get it back.